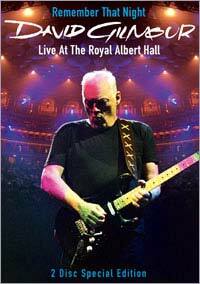 Five bonus songs from the Royal Albert Hall: Wot's... 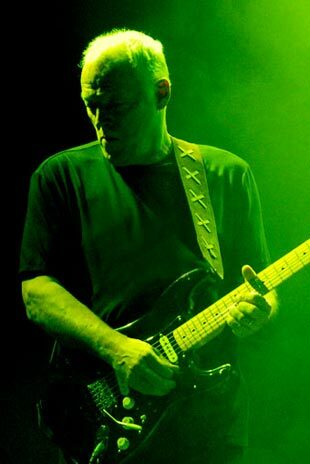 Uh The Deal; Dominoes; Wearing The Inside Out; Arnold Layne; and Comfortably Numb. Three documentaries. The main one, Breaking Bread, Drinking Wine, contains behind-the-scenes tour footage from the rehearsals in Bray right through to the final show in Gdańsk. There's also a short film from America's West Coast; some of the backstage footage was shot by Richard Wright. The third is a documentary on the making of the On An Island album. This is an edited version of the Electronic Press Kit (EPK), but with some extra songs from the recording sessions. Castellorizon, On An Island, The Blue, Take A Breath, and High Hopes, from London's Mermaid Theatre (March 2006). Astronomy Domine, as recorded for the Live From Abbey Road television series. The Dark Globe video that we've been showing on the Web site. The promo videos for On An Island and Smile. A new version of Island Jam, featuring David, Richard, Stevie, and Guy. Click here to visit the Sony site for details about the Blu-ray Disc release.